The Generative Freeway Project  is part of ISEA2013 at Tin Sheds Gallery, University of Sydney. The Generative Freeway Project is a self-generating sculptural installation that ‘builds’ itself by way of a prototype 3D printer. The work moves from a near empty gallery to the completed sculpture over the exhibition period: it is part robot, part performance and part durational installation. As a work of kinetic sculpture, the printer uses PLA plastic filament to continuously build a freeway system; the filament melts through the tool-head while the extruder and build platform moves underneath, ‘drawing’ the object. A sculpture ‘module’ will be completed several times a day and gallery visitors are invited to take them from the printer’s build platform and place them on the gallery floor to form the freeway system. This process continues for the duration of the exhibition until the freeway system covers the gallery floor; performing the process of fabrication in the gallery. The exhibition runs from 11th June and continues until 19th July, 2013. 11am to 5pm, Tuesday to Friday. 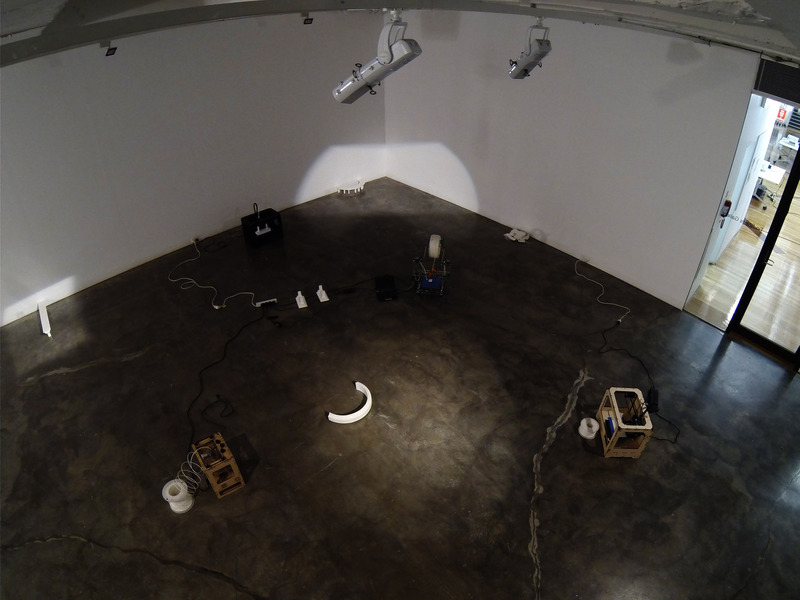 ISEA2013 is an international symposium on electronic art and ideas that will take place in Sydney, Australia and will showcase the best artworks from around the world and provide a platform for the lively exchange of future-focused ideas. Digital art has moved from the margins to become part of the fabric of everyday life. At once ubiquitous and unnoticed, resistance to electronic art has proven futile — it now lies embedded in the heart of our contemporary cultures. The symposium events will infuse the city’s social, digital and physical infrastructure. ISEA2013 aims to create a fluid body of thought, culture, community, industry, science and technology. Artists play an important role by creatively investigating the possibilities and pushing the limits of new technologies, helping us to imaginatively experience and critically reflect on their implications for life in the 21st century. Art is a source of innovation, the new norm in everything from publishing to TV, radio, games, film, fashion, music, architecture, design, applications and gadgets. Ubiquitous and pervasive, digital media permeates almost all creative endeavours in everyday life and the city. The urban spaces of Sydney will provide the scene for thinking through the consequences of digital life, creative industries, and contemporary electronic art practice.